Equestria Daily - MLP Stuff! : Pony Community Soapbox #135 - No More Glim Hate, Retrunign to Fandom, and More! Pony Community Soapbox #135 - No More Glim Hate, Retrunign to Fandom, and More! Community soapbox time, where opinions from around the fandom are dropped down below for you all to discuss and debate! Expect these posts normally when not late every Tuesday at 2:00 PM MST. To submit your own, see this post. 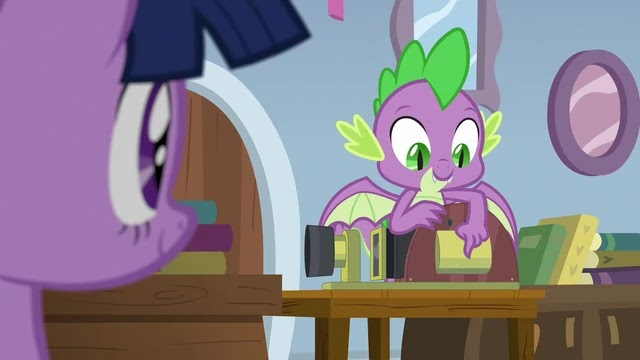 Why is Spike still just Twilight's assistant? And get your soapboxes below! There is much to dislike in “Non-Compete Clause”—the character regression of Applejack and Rainbow Dash and their near-criminal negligence of the Student Six just scratch the surface. It is little surprise that it today has overtaken “Mare-Do-Well” and “Princess Spike” as the bad episode of the series. 1. The episode was written by Kim Beyer-Johnson, who had a reputation for poor writing. Note that she only wrote one episode for S8 when most new writers get at least two per season, suggesting purposeful minimal impact. 2. A big theme of S8 is that of progress and improvement. Chancellor Neighsay alludes to evidence of the Mane Six’s apparent incompetence in “School Raze,” of which NCC immediately calls to mind. “End in Friend” also rehashes many of the themes in NCC, and most agree that it executed them better. 3. So much is wrong with the episode in many independent ways that the Student Six’s lesson can apply as a lesson on what not to do in an episode. This does not excuse the specific creative choices that the writers made, but in retrospect, the idea behind it has merit. Over the last month, I have seen a lot of people who fear that the fandom may collapse once Season 9 ends. For that reason, I think that this is a good moment to reflect on the impact that we've had and the amazing amount of content that we have created as a fandom. 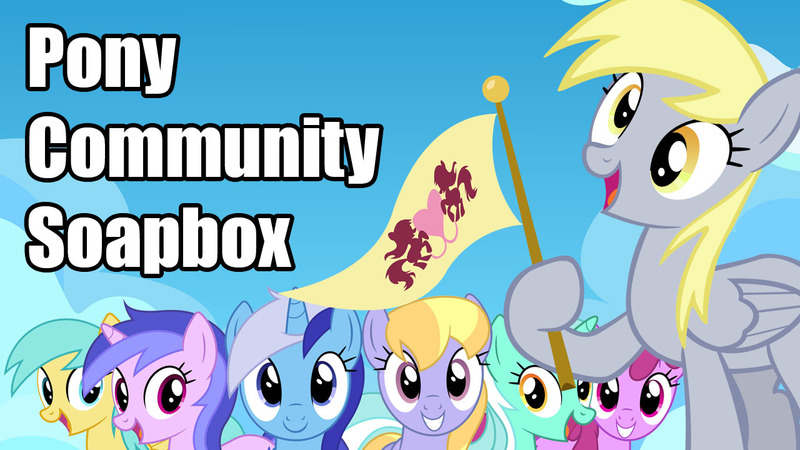 After the show ends, the future of the fandom is in our "hooves", as we can continue to create, and even in the unlikely case that interest in FIM disappears completely, nobody will ever be able to take away from us the lessons that the show has taught us and the friendships that we have made through it, and that is enough to make it live forever. Carries on through the ages"
Lets keep the Magic of Friendship alive! Wow, I haven’t visited this site or actively watched MLP since 2014 or so. As I’m graduating university soon, I’ve been nostalgic for a lot of stuff I enjoyed in my teens - MLP being one of them. I didn’t jump off the bandwagon as such, just other interests got in the way and I felt pressured to pursue interests which were more ‘stereotypically socially acceptable’ for a young guy. Even so, I remember how fond I was of MLP, and I have no real context for how things have changed in the last six years, what’s the state of the fandom? Are the new seasons as good as the old? Of course, I’ve not seen the newer stuff and would need to re-watch from the start, which I probably will for the sake of nostalgia. Is it worth it do you think? I worry getting back into MLP is a bit like getting back into WoW, perhaps too late? If the community is still there, I'd like to jump back in. In the past, Twilight really needed his help to stay sane, and to help her focus, or help her with her scheduling and such, yeah, back then that assistant role was really needed! Now we're up to season 9, all of Twilight's friends are spending time away from their daily jobs to help her with friendship problems and running the school (with only more to add on their plates coming up), and Starlight's been the one keeping her sane lately! What's Spike been doing for her? Pushing buttons, writing notes, finding a book, all of which are somethings Twilight can do easily with her magic. Nowadays, it seems like Spike's assistant role has become rather... unneeded. Spike coulda been a teacher in his own classroom which woulda been nice, but that didn't happen. STILL an assistant to one pony. Now it's not really the assistant role that's the problem, it's being TWILIGHT'S assistant still! What does she need him for other than to be a beloved son? Yunno who does need him? Starlight. At other times, Ember and Thorax, and back in season 1 he helped out Cheerilee and the Cakes! Maybe Trixie needs help! He also helps Rarity out, but bleh, for the wrong reasons! He's great at what he does, but maybe he could start branching out in assisting those who actually need his help, and have that become a regular thing? Makes ya wonder if he just sticks around with her cause he has abandonment issues. Something that should get fixed. Twilight keeps her kid too close, that's unhealthy for a kid. Needs to get weened! More importantly though, does he get paid? Maybe his assistant role wouldn't look so bad if he had a confirmed source of income. Good ol Glimglam! Sure she's not perfect, but is anyone? However, there are alota people that don't like her, and think she shoulda never came on the show, but her reasons for stickin' around far surpass the reasons Discord's around nowadays! No offense to him. Does Glimglam really deserve the hate? I know, her story is flawed, she had a rushed redemption - yeah, these things happen in this show. It's not Starlight's fault for that! I mean all she really needed was someone to believe in her, and that's what Twilight did! Then she got accepted by the Remane 5 and Spike! Of course she still had a very hard time fitting in - something many of us have problems with. She was also abandoned by her first friend! Yunno how harsh that is? Some people can take it well, but others really can't! 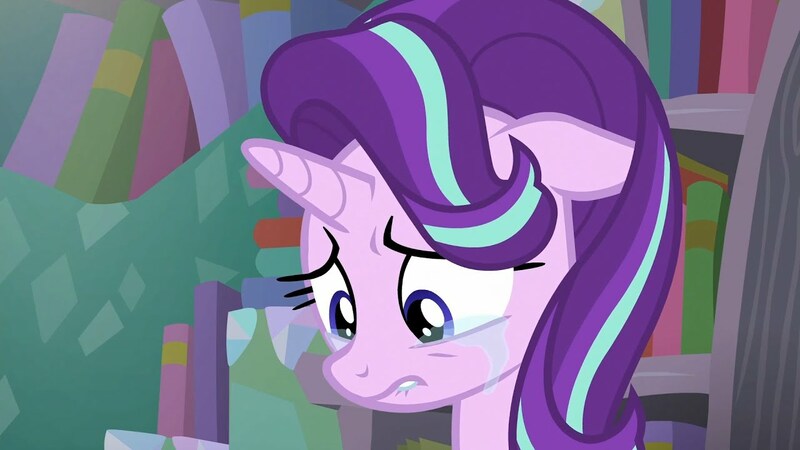 I can feel so much sympathy for Starlight and can really relate to her! She's always willing to give someone a second chance and always show respect to those who even might not deserve it! She's the only one who gave Trixie a fair chance, Chrysalis a second chance, and she's one of Spike's only friends that NEVER abused him or taken advantage of him (except for the reliving hero thing from the season 6 premiere, but that was only to stall her meeting with Sunburst, and Spike was having a good time)! Even though the latter did help play a big role in having me really like her, that's not the main reason!